Writer, counselor, and motivational Writer, speaker Christina Cage has lived a miraculous life in step with God�s purpose, and in Restoration and Renewal through Prayers and Poetry, she brings to light the special brand of love and insight with which she has graced others for decades. Using personal anecdotes, inspirational testimonials, informative Bible studies and prayers, and poetry straight from God, Cage offers us all the simple steps to living right with the Lord: restoration, in which we go to God and pray for His help in creating a life of honor, free from sin, and renewal� letting go of our old sin and allowing God the control. By following these steps and handing our lives completely to God, Cage shows us that we too can live the life of joy and abundance while shining our spiritual light to everyone we meet. 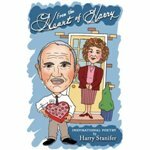 In this delightful collection of poetry, Harry Stanifer conveys through simple and creative verse the beauty and joy of the best things in life. 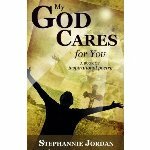 From family to nature, Stanifer explores God's creations through poems that all readers can understand and enjoy. Even tackling topics like old age, Stanifer displays a wit and grace that reminds us all not only of the power of God, but of the power of words to bring us together. 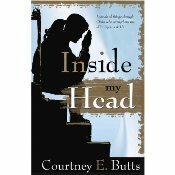 Inside My Head started as a poetry assignment entitled, �The One Who Left Me� at Mumford High School, in Detroit Michigan�it, along with a collection of her other inspired poetry, has become the first published work of Courtney E. Butts, an up and coming, young, gifted writer and communicator. The poetry narrates the story of not only her life, but the life of many young African American girls growing up in the inner city and the unique challenges they face�the ups and downs, friendships, spiritual life, relationships and finally finding herself. Courtney says, �She is not the person she was when she started on the journey of writing Inside My Head.� Join Courtney on her journey and let your life be forever changed. But it�s only for a season. I tell you there�s a reason. It�s only for a season. Or done some other wrong. I can give your heart a song. Come lay your head upon My breast.